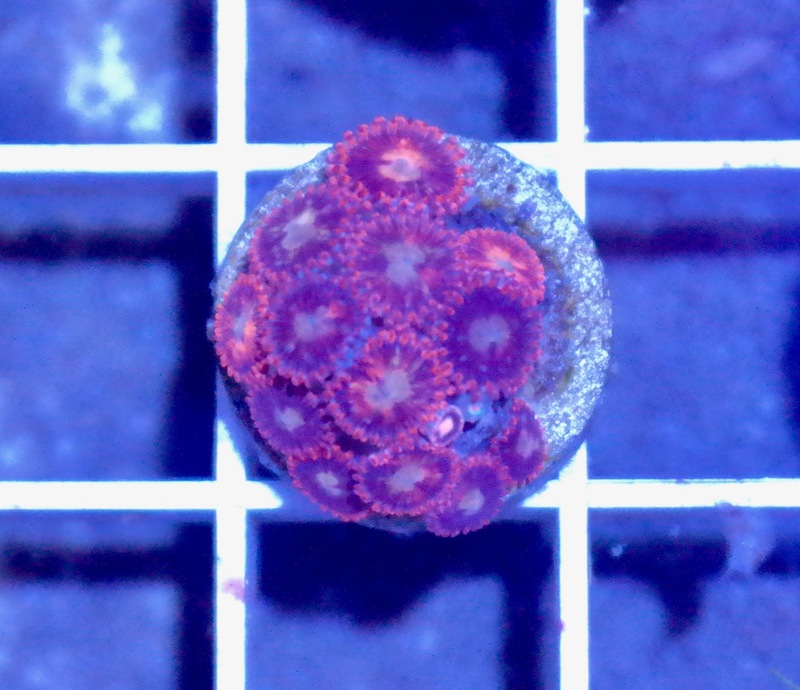 single head frag (although a bud for a second head is growing there) of acan. small but growing well, and already has amazing red coloring. 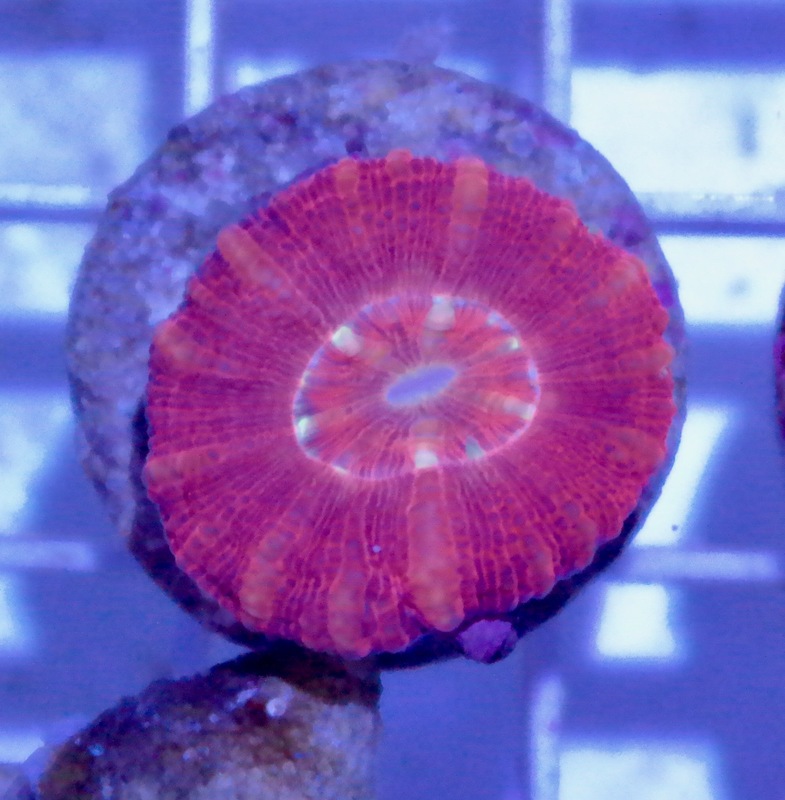 hungry little single head acan, will be popping out new heads soon! 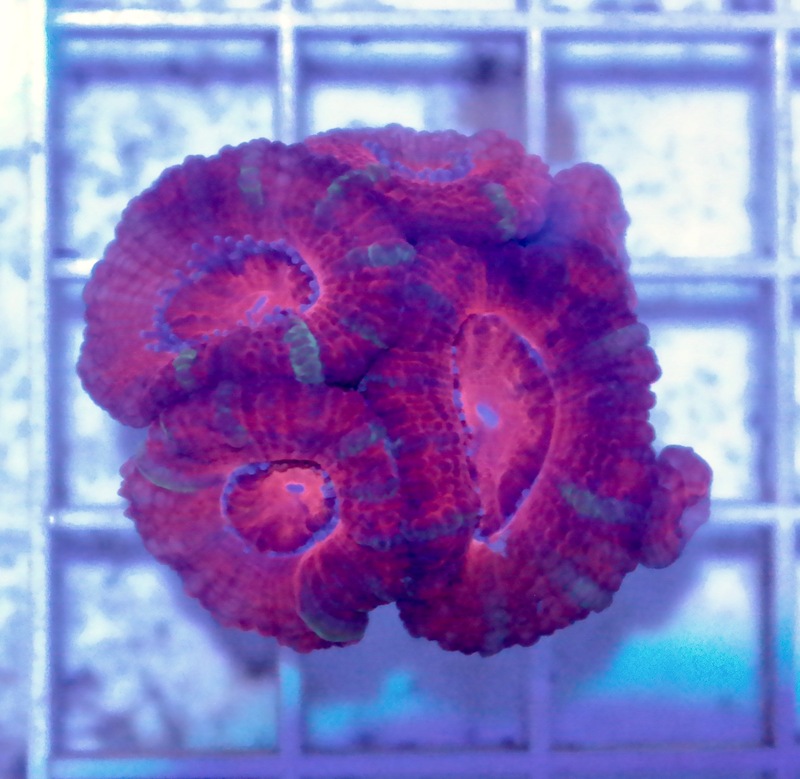 The best acan frag I'll have for the swap! 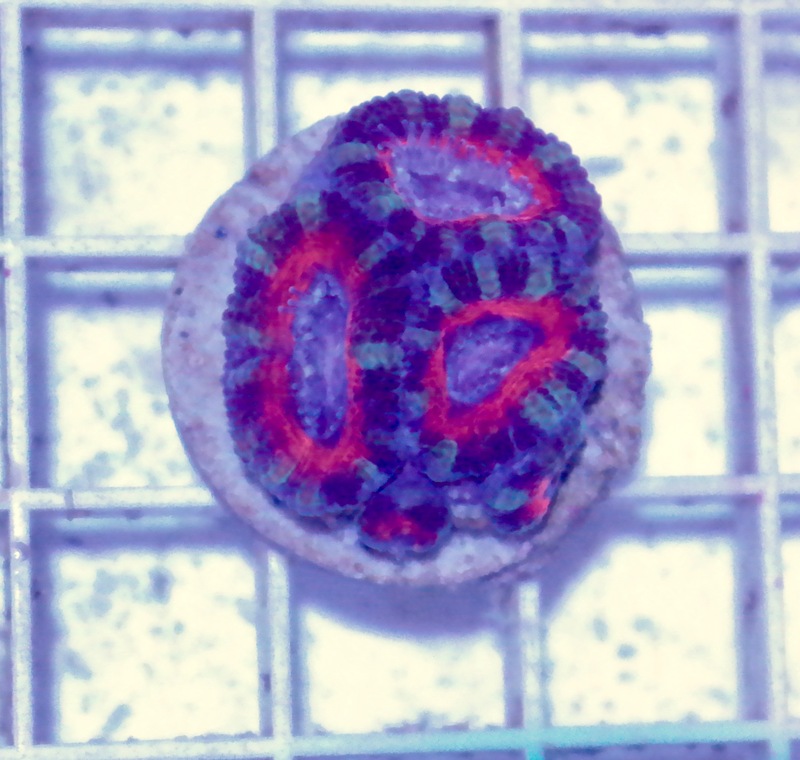 Amazing red coloration with green and purple stripes. 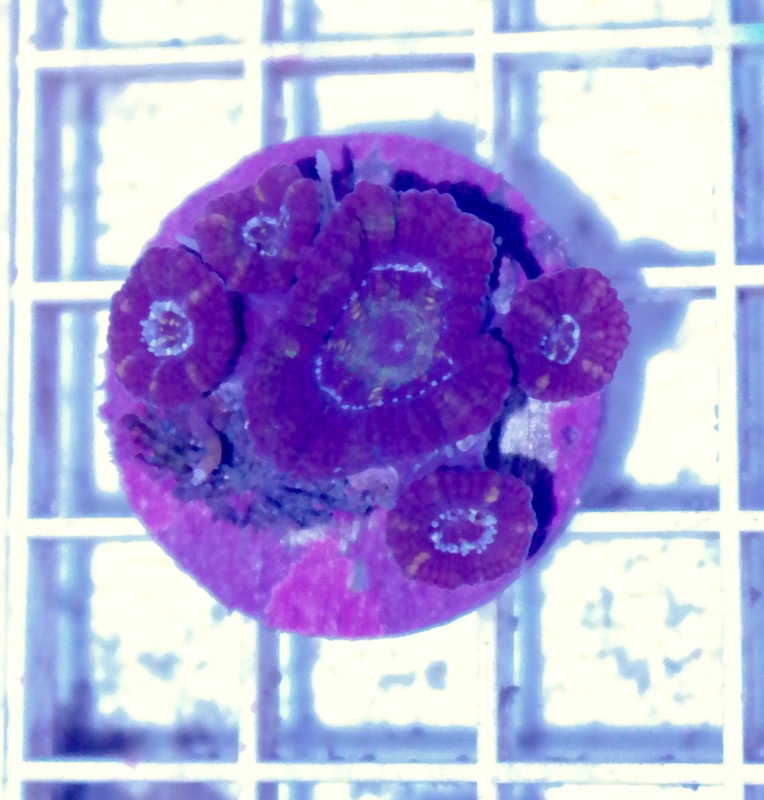 Very healthy and growing frag with excellent feeding response. Aquacultered from a two head frag, now five heads! Amazing coloration and striping. Excellent feeding response. WYSIWYG. 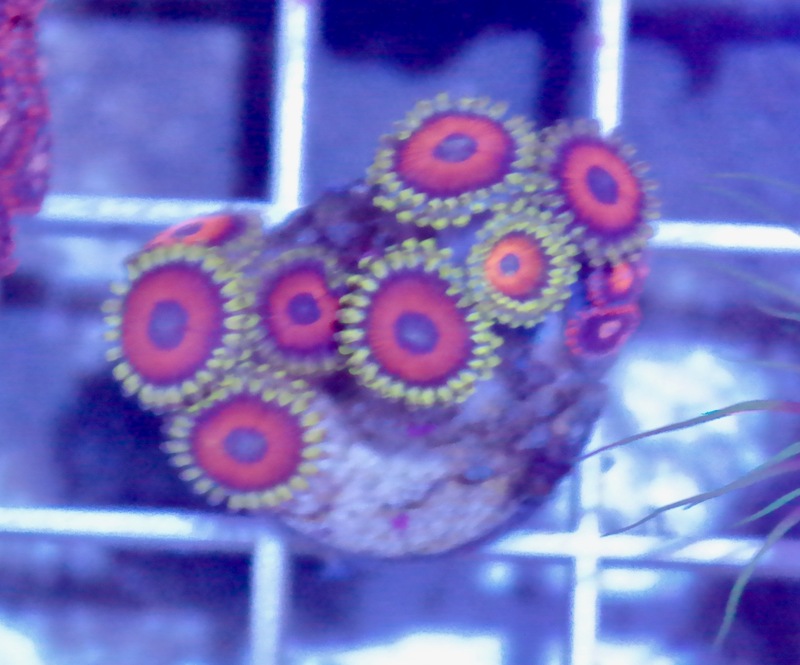 You get all five zoa mini-colonies pictured in one group. I stopped counting at 120 polyps. Couldn't ID these ones since they're speckled, but they have really good colors and have been growing strongly from frags. incredible red color and striping around the edge. WYSIWYG, choice of two. Please message me when reserving as to if you want the first or second one pictured. Buy both and get five bucks off. deep green fading into purple. 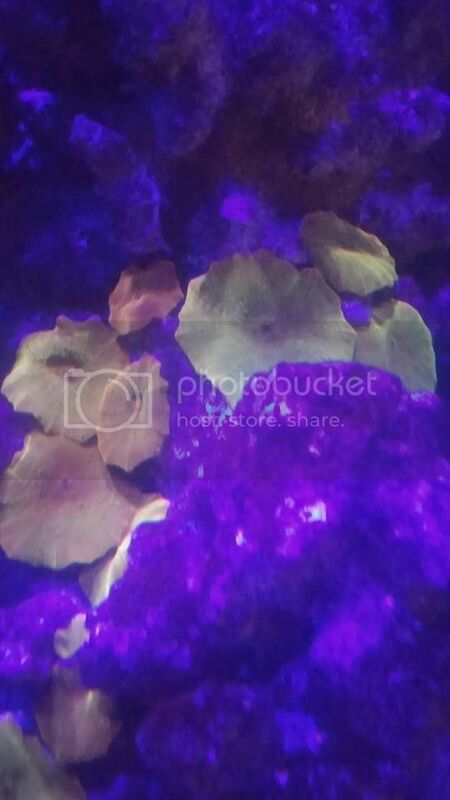 Great colored favia not given justice by my picture of it. 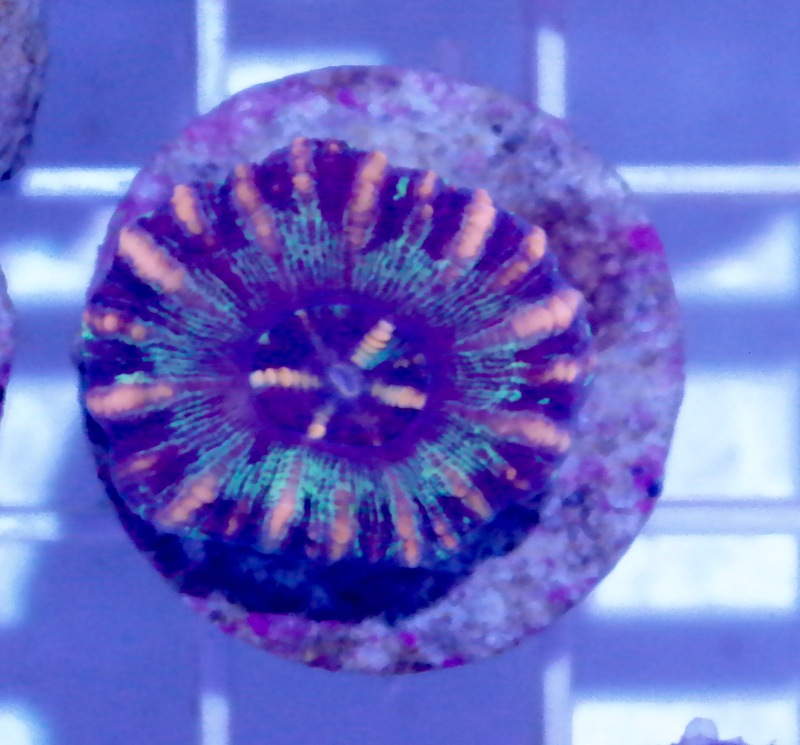 WYSIWYG, approx 2" piece mounted on frag plug and fully healed. 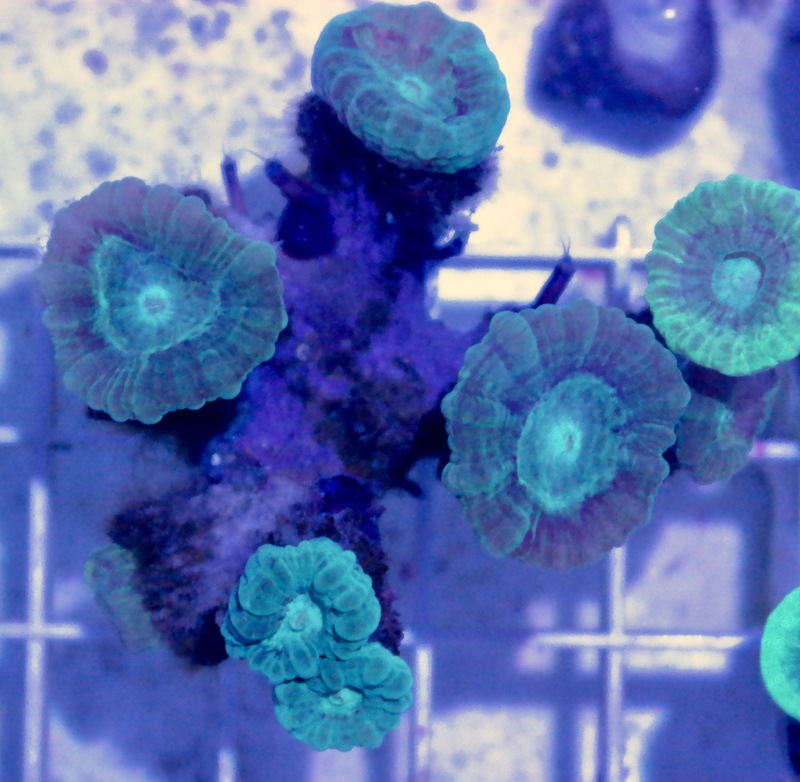 Want unreal colors for something as easy to care for as an acan? Try a scoly! My scolys have been tank captive for over 3 months and feed once a week on baby brine shrimp. WYSIWYG, Purchase any other scolys and get ten bucks off both! WYSIWYG, choice of two pictured, please message me and specify if you want the first or second one pictured. Purchase both and get ten bucks off each. WYSIWYG, choice of two that I have. Please message me when reserving as to if you want the first, second or third one pictured. Reserve all three and get ten bucks off each one. Jack o' Lantern Ricordea WYSIWYG! Rock with 8+ heads of red-orange acans. Healthy and hungry! WYSIWYG. Single Iron Man mushrooms available. Sizes vary from nickel to quarter sized. Please pick up by 12:30 on the day of the swap. Can easily count 100 polyps of Green Implosion Palys on this piece of live rock. 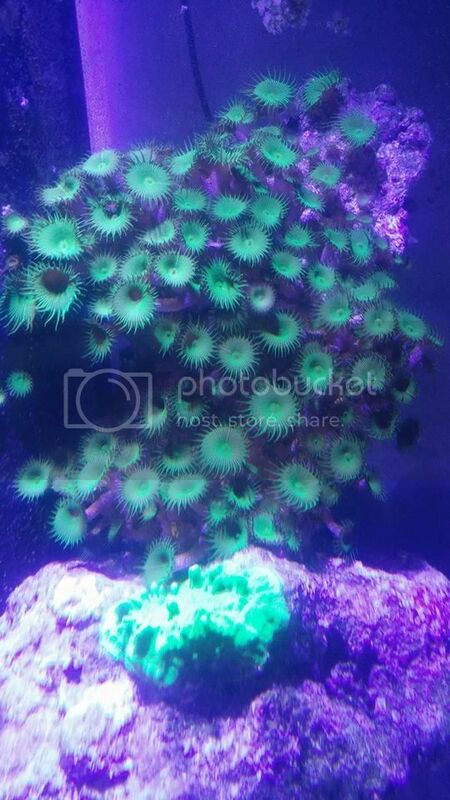 Large, super green polyps with "stripes." Live rock is roughly 11" by 5-7". Need to clear some space in my tank, sorry for the poor quality phone pics. Please pick up by 12:30 on the day of the swap. 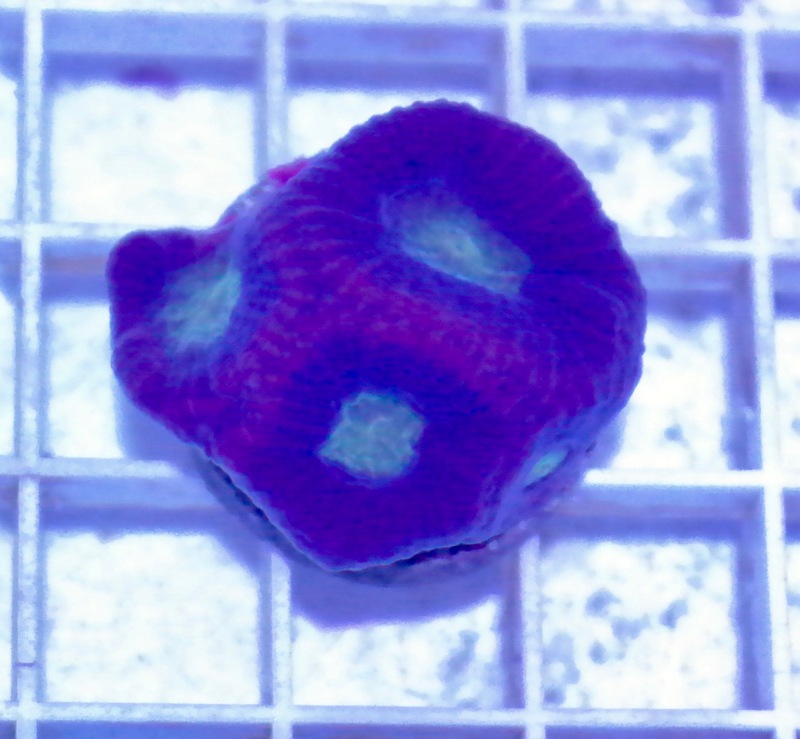 Have three pieces of Grandis Palys with 4 polyps on each piece. 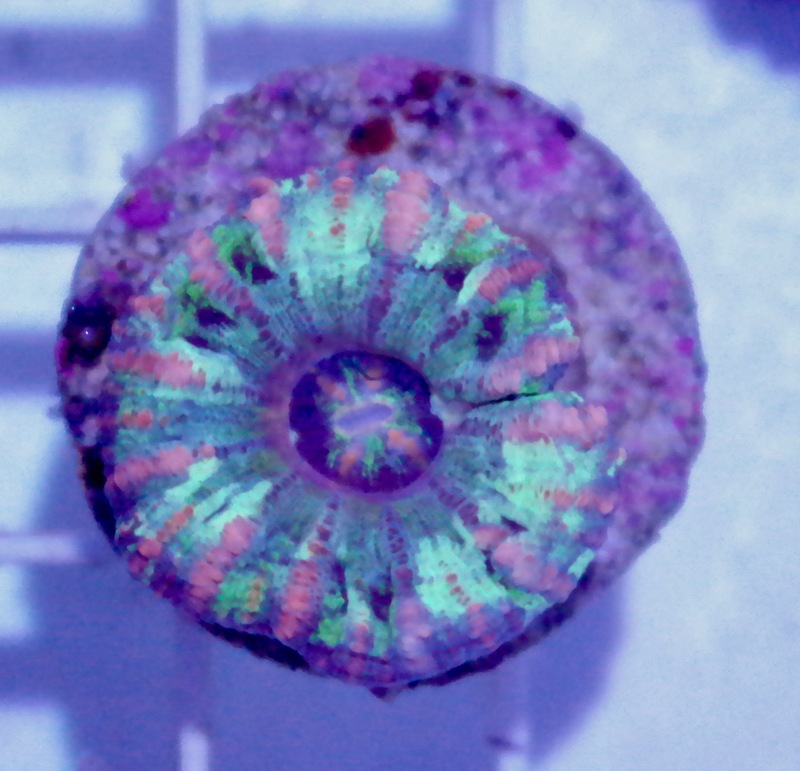 These are the kind of all palys, with polyps that open up as big as a half dollar and bright green and purple coloration (sorry for the crap picture quality). Reserve 2 and get the third one free. Otherwise specify left, right or bottom grouping of four in your reservation. WYSIWYG - 7 heads of candy cane in a small cluster. 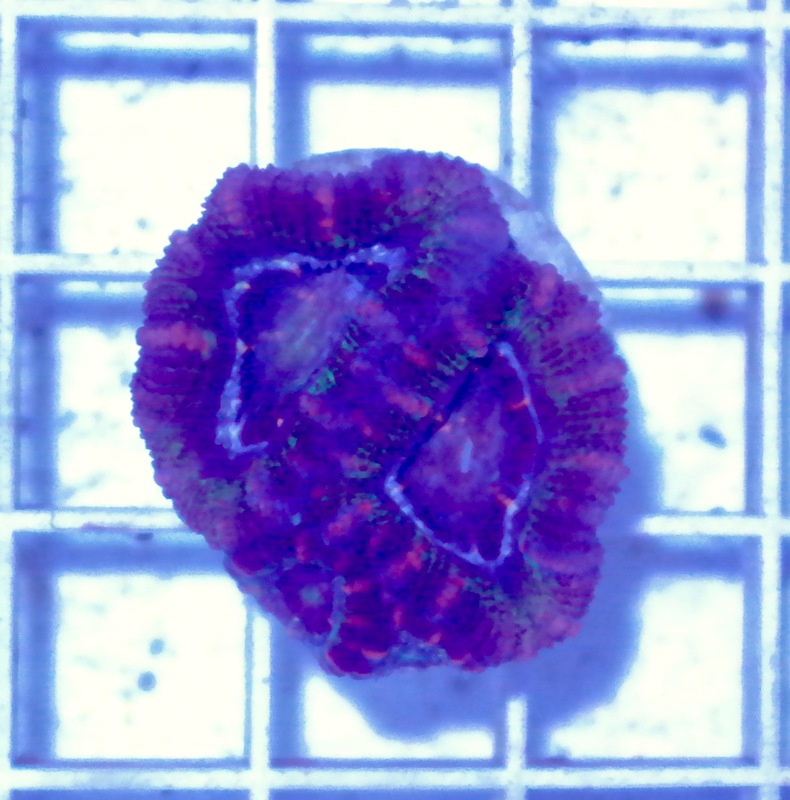 Not mounted on frag plug, just a natural piece that broke off the mother colony. 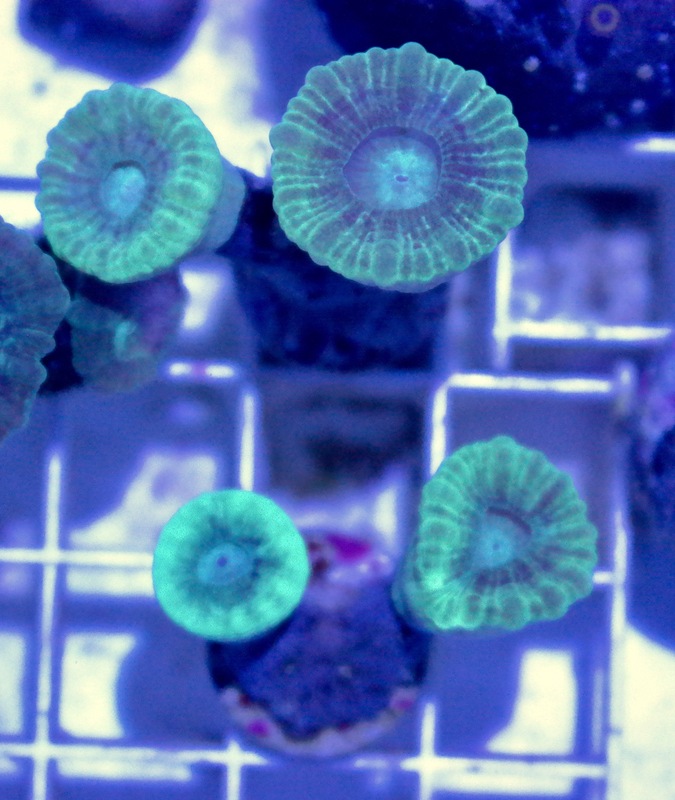 I have two frags, two heads each, of neon green candy cane / trumpet coral (caulastrea). WYSIWYG. When reserving you can request the top or bottom one. 40# (actual weight 42.1# when weighed) of dry pukani live rock. WYSIWYG, medium and large pieces and more than enough for a 40g tank. This rock has been treated with muriatic acid, soaked in RODI to a neutral pH balance was reached, then dried in a hot room for a few weeks. 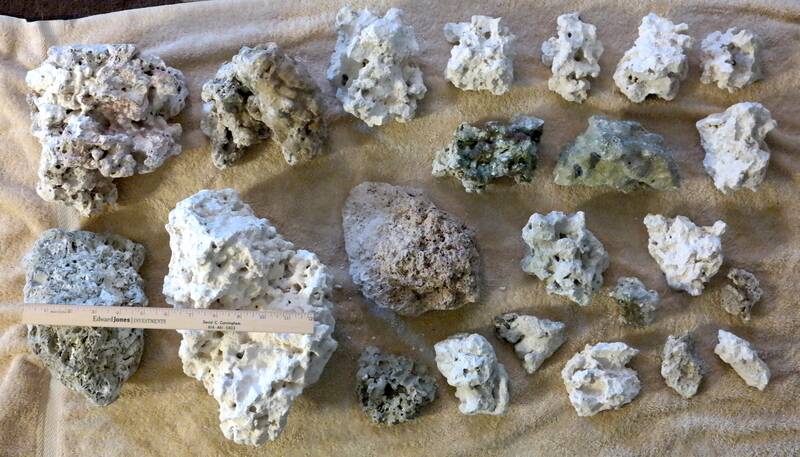 Only way to get pest free rock is to start from dry! $2 / pound, don't pay for water! 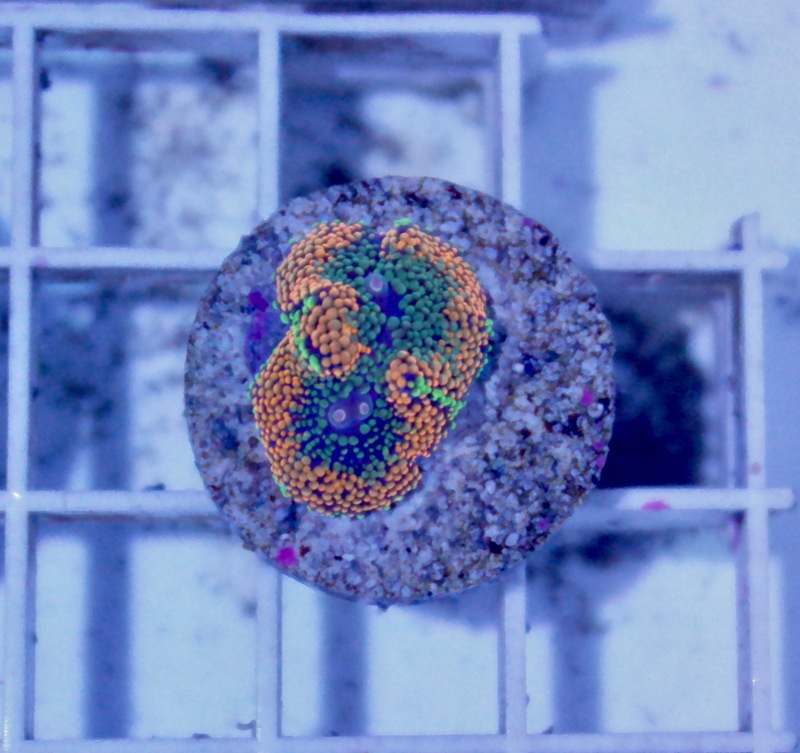 I can include a frag plug encrusted with coralline algae to start your cure if requested with reservation.